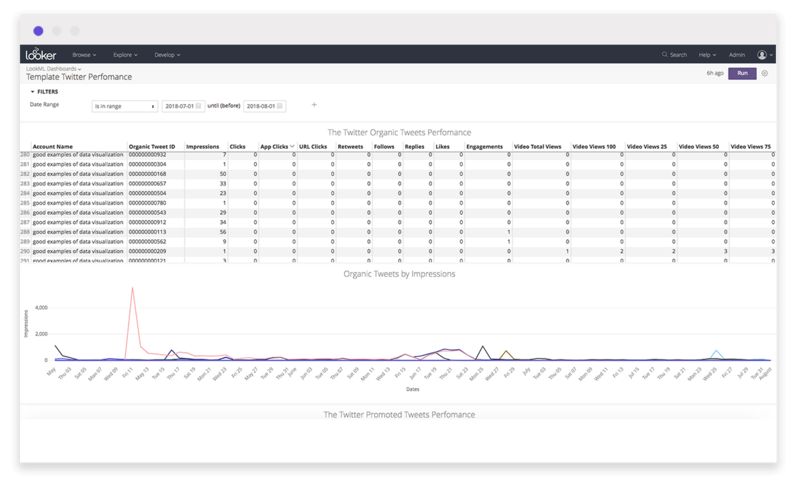 Instantly view your organic and paid Twitter performance across all your Twitter accounts, tweets and campaigns via Twitter Analytics by Improvado. In minutes, gain a birds-eye-view of your account or get granular all the way down to the tweet levels. Replicate success and avoid risks early by identifying performance outliers. 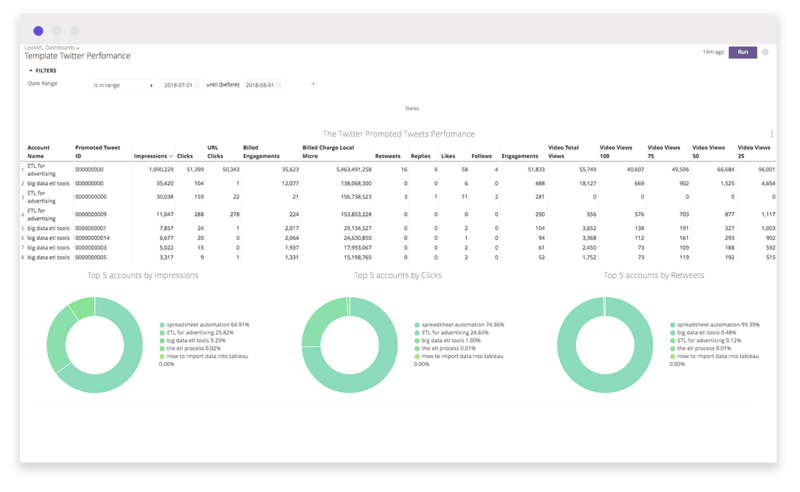 Add on Improvado’s Advertising Analytics, Agency Analytics, YouTube Analytics and Google DCM Analytics blocks blocks to gain a more comprehensive analysis of your display, social media and search performance. Gain a holistic view across your data warehouse and optimize across the board. AdWords helps customers find your business, precisely when they’re searching for the things you offer. This Block provides an overview of cost and billing information across all GCP services and users.